We are so honored that The Knot featured Emily and Dylan's wedding on their Real Weddings Blog! Emily and Dylan's vintage wedding was such a joy to be a part of and we are so excited to see it get published! 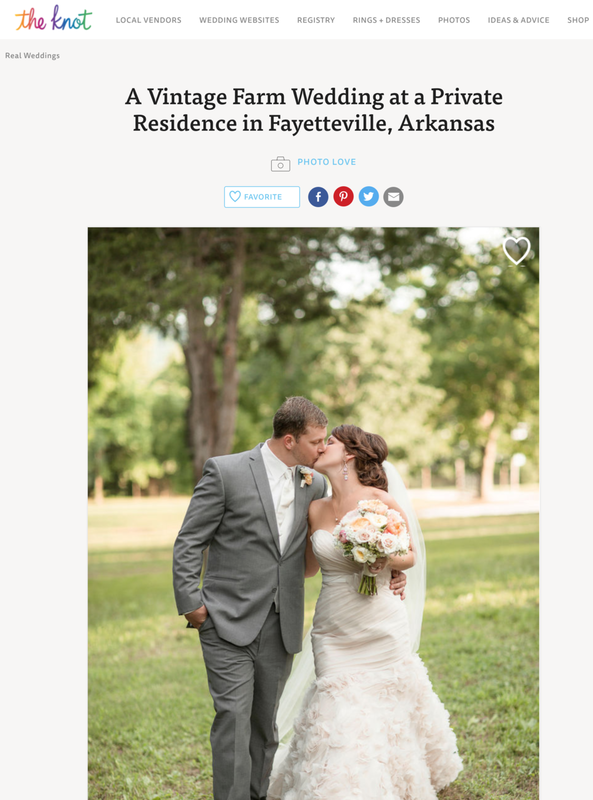 They were married on her family's farm in Fayetteville, Arkansas and had so many fun details (her ivory ruffled dress, fifteen flower girls, etc) that you can see on The Knot and on our blog!